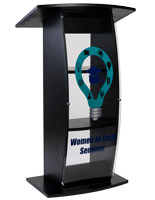 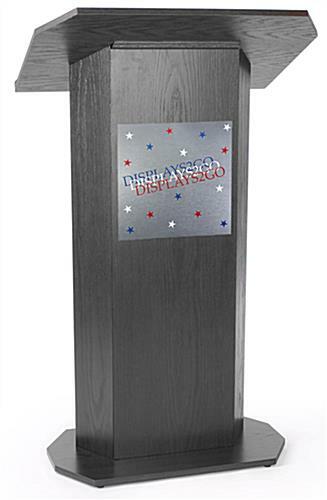 This custom printed silver podium sign is an economical way to turn any standard wood, plastic, or metal lectern or speaking stand into a branded fixture with customized graphic. 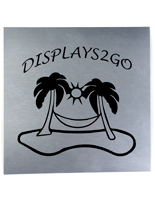 Each 14" x 14" lightweight acrylic panel is finished in a metallic brushed-silver base color. 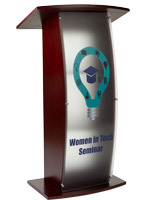 This 3-color vinyl printed silver podium sign includes customized vectory graphics or messaging in three different vinyl shades for a bold look that will attract attention. 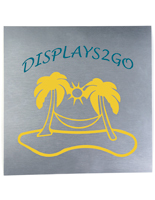 This simple personalization accessory is ideal for showcasing business or facility logos and branding. 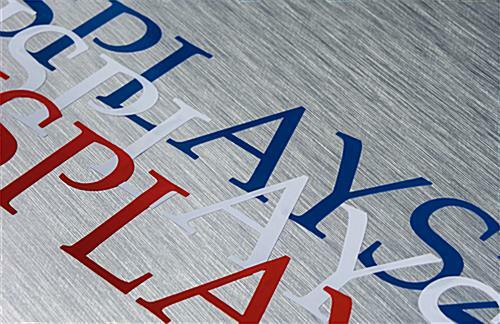 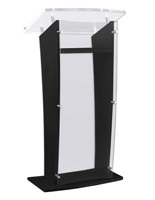 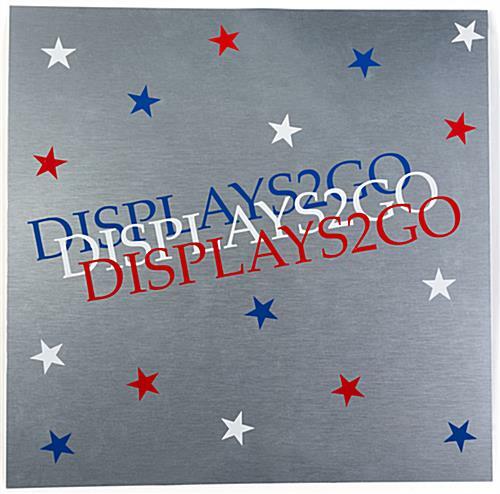 This metallic finish silver acrylic podium sign with 3-color printed graphic is an economical way to update existing fixtures or accessorize plain speaking furniture. 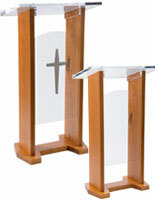 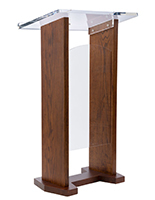 This stick on lectern signage panel comes with high bond double-sided adhesive tape that will attach securely to almost any surface, including wood, acrylic, and metal. 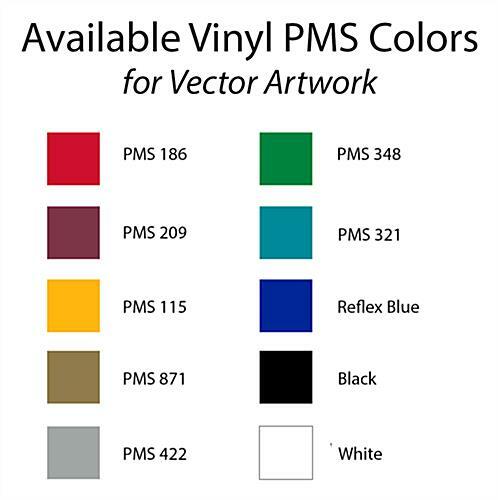 An in-stock lead time of 4 business day(s) begins after the artwork proof has been approved. 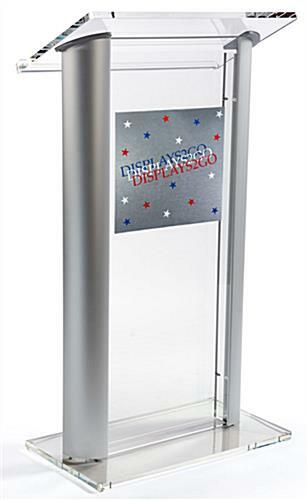 Product does NOT ship on a same day basis.